2. 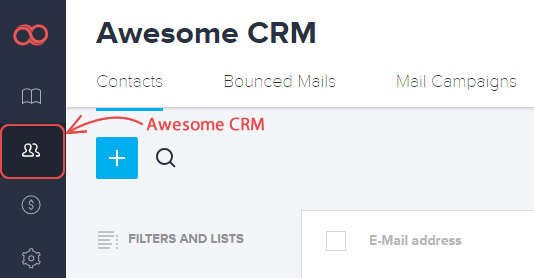 Select the contacts you wish to organize into the list and click the ADD TO A NEW LIST button. 3. 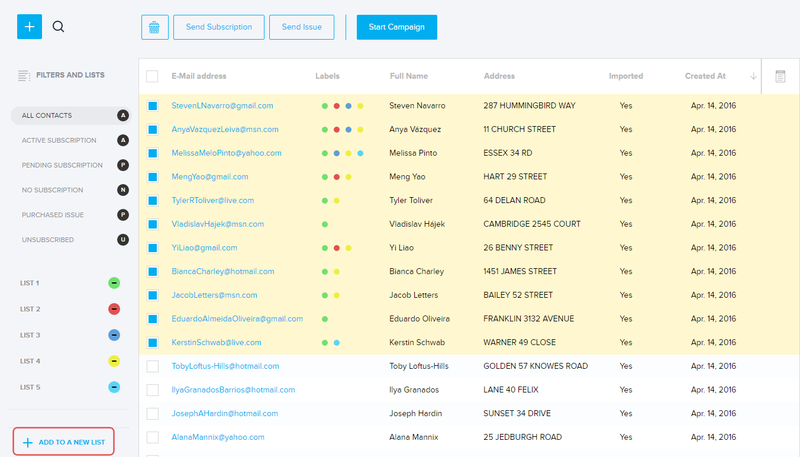 Give a name to your list and click the CREATE button. 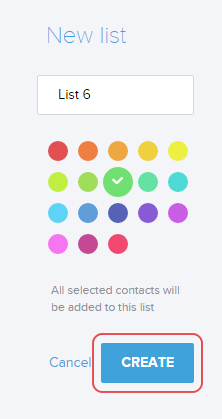 Tip: Pick a color which will help you identify the list and the contacts in it. Done! You have created a new contacts list.